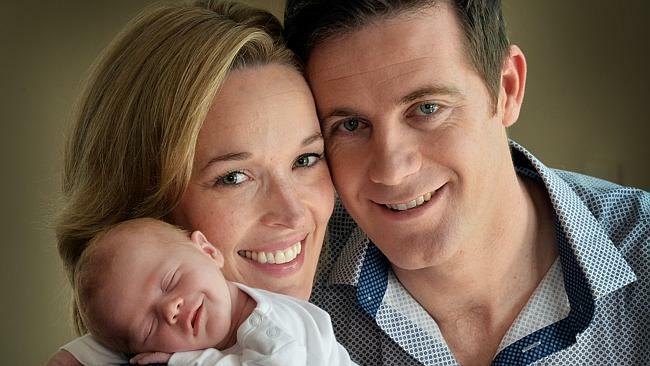 Journalists Louise Momber and Rob Scott welcomed their first child on June 24, and have named their daughter Ivy Elizabeth. Ivy Scott was born at St John of God Hospital in Subiaco, Perth. Louise is a weekend news presenter for Channel Nine, and Rob is a news reporter for Channel Seven. The couple were married in 2012, and spent their honeymoon in Mauritius. Ivy is a name that Louise and Rob had on their shortlist, and when their daughter was born, it suited her at once. The middle name Elizabeth is in honour of Louise’s mother, who passed away in 2012. Sadly, Louise lost both her parents to cancer within months of her wedding. I know a couple with an Ivy Scott! She’s Ivy Anne, and is about 16 months old now (I think). Ivy is such a gorgeous name, vintage but not too fussy.